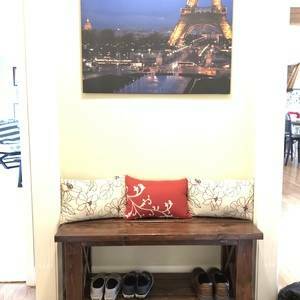 A rustic bench with X shaped side legs. 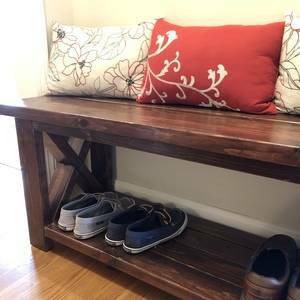 We needed a bench in our entryway so we could all sit down and take on/off our shoes. It also fills this awkward nook we have in the hallway.